Great Cities A Must, So Tax Superrich Hard, Everywhere. Shallowness of thinking is a sin. Many view it as a creature’s comfort., though (“Thus spoke the Tyranosopher”). OK, not a sin in the Bible (otherwise the Bible would have put itself out of business!). But it’s a dangerous consequence, and temptation from the Internet and “multitasking”. 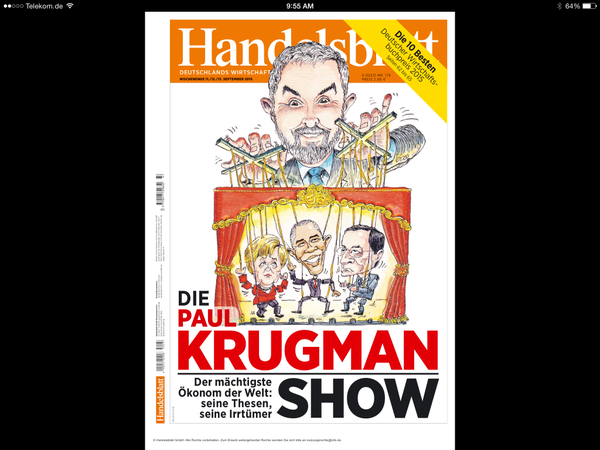 For shallow thinking one of my reference is Paul Krugman, the most respected “liberal” (USA) or “progressive” (anywhere else) in America and Europe. “New York, New York, a helluva town. The rents are up, but the crime rate is down. The food is better than ever, and the cultural scene is vibrant. Truly, it’s a golden age for the town I recently moved to — if you can afford the housing. But more and more people can’t. And it’s not just New York. The days when dystopian images of urban decline were pervasive in popular culture — remember the movie “Escape from New York”? — are long past. The story for many of our iconic cities is, instead, one of gentrification, a process that’s obvious to the naked eye, and increasingly visible in the data. Specifically, urban America reached an inflection point around 15 years ago: after decades of decline, central cities began getting richer, more educated, and, yes, whiter. Today our urban cores are providing ever more amenities, but largely to a very affluent minority. But why is this happening? And is there any way to spread the benefits of our urban renaissance more widely? Did he really say that? “Nobody really knows why” New York became safer? Really? Never heard of Mayor Giuliani? (Giuliani was several times presidential candidate.) He was tough on crime, strong on “profiling”. The USA has the highest incarceration rate in the world (with the Seychelles islands). Eight million people are under justice supervision. Police brutality helped. This may be why nobody Politically Correct knows why New York is so much safer; nobody wants to know why. Hard thinking is always uncomfortable. As soon as plenty of police brutality videos surfaced, and the police was reined in, crime rates exploded. That was in 2015. That is, a few months ago. “But there have been other drivers of the change: above all, the national-level surge in inequality. 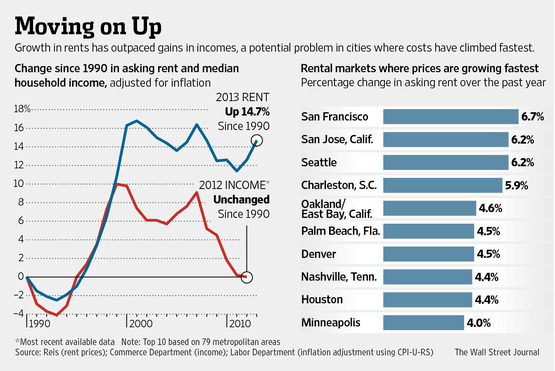 “Still, why do high-income Americans now want to live in inner cities, as opposed to in sprawling suburban estates? Here we need to pay attention to the changing lives of the affluent — in particular, their work habits. To get a sense of how it used to be, let me quote from a classic 1955 Fortune article titled “How Top Executives Live.” According to that article, the typical executive “gets up early — about 7 a.m.. — eats a large breakfast, and rushes to his office by train or auto. It is not unusual for him, after spending from 9 a.m. until 6 p.m. in his office, to hurry home, eat dinner, and crawl into bed with a briefcase full of homework.” Well, by the standards of today’s business elite, that’s actually a very relaxed lifestyle. Notice Krugman does not mention the Darkest Side: having the rich living only among the rich… Let alone correctly colored. I have observed this many times: entire neighborhoods, cities, islands, secluded enclaves of the 1%. 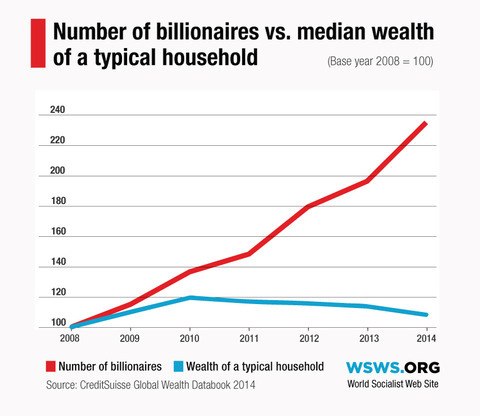 “We’re not just talking about the superrich here, or even the 1 percent. At a guess, we might be talking about the top 10 percent. And for these people, it’s a happy story. But what about all the people, surely a large majority, who are being priced out of America’s urban revival? Does it have to be that way? It is true that land use restrictions are a huge problem (in the San Francisco Bay Area, cities which want to build skyscrapers next to train stations, have been blocked… Mostly by the superrich, who do not want the poor, mediocre and thoroughly medium to rise up in the sky. The result has been the greatest gridlock in the USA). Trust Krugman to be as hard as a soft-boiled egg. Krugman, or why moderation is a sin. All what Krugman said was true, but it is “non-controversial“, namely everybody knew it already. Is that what the top thinking on the left can be? With moderates like that, who needs Republicans? Housing policy, thus the built-up of infrastructure, is crucial for the economy… and for comfort: infrastructure deteriorates, and has to be worked on continuously. Let alone modernized. Private infrastructure in a city, depends upon PUBLIC infrastructure (water, electricity, basic transportation, basic police, justice, schools, government).. Thus, because of the necessary involvement of public infrastructure, PRIVATE infrastructure requires more PUBLIC spending. Hence a thriving PRIVATE economy requires more PUBLIC economy, hence more taxes on the wealthy (Canada’s Trudeau, the new PM, advocates just this). An example is schools: they can be made profitable, thus private, as long as they cater to the top 10% To cater to everybody, thus make a sustainable city, taxes will have to be augmented and redistributed to public schools. So sustainable cities will require a change in the philosophy of the socio-economy. Ah, something else: taxes cannot just be restricted to the cities, as then the superrich will escape again. So they have to be national. And even international. And “Dark Pools”, “Shadow Banking”, Tax Havens, Delaware, have to disappear. Building thriving cities is about not destroying the planet: cities are more efficient. Most of humanity lives now in cities, and the proportion will have to go up. Don’t trust the superrich, don’t let them call themselves “philanthropists”, as if they could tax themselves. Latest clown here is the Facebook founder, who got free advertising everywhere, for his pledge to “give 99% of his fortune away“. Meanwhile he will keep on enjoying it, while claiming he does not, before he can convert it into tax-free vehicle, for himself, his wife, and child, Bill Gates’ style. It is rather sad to see so many applauding some clowns whom I do not find funny. Politics is named after cities, so is civilization. Cities can, and will have, to save the biosphere, as they can be made more efficient, and smarter, than any alternative. And what is cities’ greatest historical enemy? Plutocracy. One must crush infamy, and thus plutocracy, and it’s exactly why taxes were (mostly) invented. 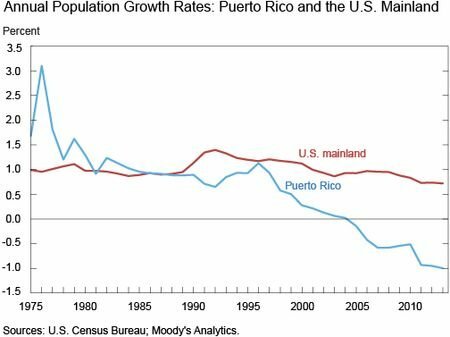 Puerto Rico’s Default: Back To The 1930s? 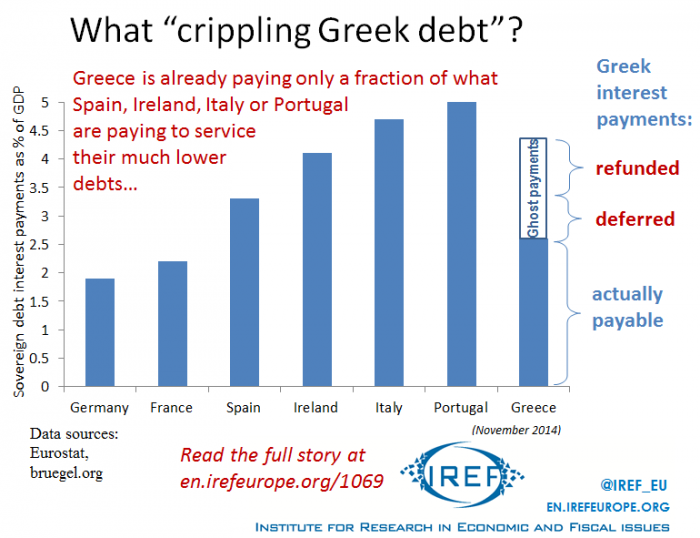 We were told, for years, the outrageous lie that Greece’s debt crisis was “caused” by the Euro… Even by supposedly left wing economists of the USA (Paul Krugman, etc. ), and their European parrots. I exposed this as a cover-up of the outrageous state of banking under a thick layer of Europhobia, even more than four years ago. Now Puerto Rico exhibits an increasing unwillingness to pay interest on its debt. Now what? After 2008, the economy turned bad, and governments borrowed heavily to keep the society going. As the prospects got dimmer, https://patriceayme.wordpress.com/2014/06/21/new-york-vulture-justice/, bought Puerto Rican debt. Vultures hate education, as education makes for rebels, and they are in position to reduce educational spending, in Greece or Puerto Rico. When Vulture Funds had their fill, of Puerto Rican debt, they sprang the trap: mistaking Porto Rico for Greece, they required the Porto Rican government to reduce spending in education… So that Porto Rico could pay them the extravagant interest payments. Is Puerto Rico The Object Of A (Financial Engineered) Genocide? Debating Puerto Rican debt appears to be about finance, state debt, schools, hedge funds. Yet, ultimately, it’s about who owns Puerto Rico. No, of course, it’s right. Hedge Funds should have all rights you can possibly imagine. They already buy and sell entire countries. The total tax receipt in Puerto Rico is 10%, a small fraction of what it is in advanced countries (at least 23%). Taxes on the rich are small, full of loopholes. Moreover, the USA treats Puerto Rico like an exploited colony, so full reimbursements and compensations available to full citizens of the USA are not available in Puerto Rico. Another truth is that educational spending is exploding in the USA, because health spending (Obamacare”) does not control costs (contrarily to what propaganda says). So plutocrats from hedge funds profit from an inflation which fellow plutocrats in health care engineered, thanks to an arguably too Machiavellian by half White House. Porto Rico is a weird island, a territory of the USA which is neither destined to independence, nor a state. In the 1950s, four Puerto Ricans went to the Congress of the USA, and shot 30 rounds onto the Representatives, to ask for independence. 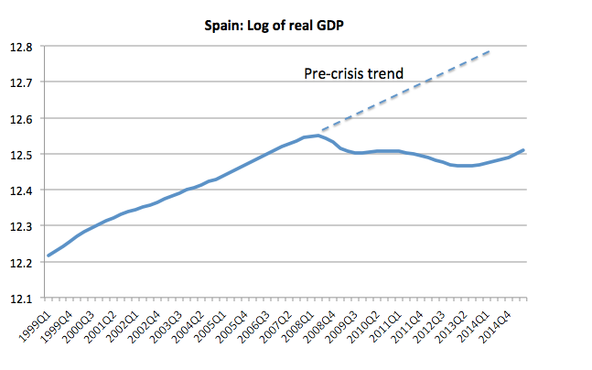 Krugman says Puerto Rico is not Greece: indeed, Puerto Ricans flee massively to the USA. Greeks no doubt ought to do the same and contribute free, or menial labor, to the splendor of the economy as celebrate by Krugman. People who are in the know stridently contradicted Paul Krugman’s positions and exposed them for what they are: the term “neo-colonialism” is too good. Pursued to the end, Puerto Rico would just vanish, except as a tax haven (just as the Virgin Islands next door). Does that mean that those who complain about “plutocracy” a lot, such as yours truly, are also fascist? No. Of course not. First it shows that Mussolini and Hitler called their dinner guests “plutocrats” because that’s what they, all often, were. It also reveals that, in the 1930s, it was a common political truth, worldwide, that plutocrats had caused the financial and economic crisis… As they had, since they were in command (the bubble of the 1920s was deliberately engineered by Lord Montague and his American alter ego, to mitigate British debt from World War One by inflation and over-activity). People often ask me what the Dark Side is. Neither “Evil“, nor “Star Wars” do justice to the notion. That force is strong, but its strength varies. The politician who acted the best, for his own country, when faced with that plutocratic crisis, was President Franklin D. Roosevelt. Roosevelt devalued the dollar, shackled Wall Street and the banks, created a Command and Control economy (headed by a young Canadian!). Roosevelt, himself a plutocrat, behaved in an extremely progressive, socialist way. Because he had to. Sometimes, the Dark Side is all about doing what is necessary (I see Obama chuckling in the distance with his drones). Embracing many of the solutions of the hard left, was the price Roosevelt paid to save plutocracy. Maybe to compensate, for his own exuberant socialism, Roosevelt was abusive with the French (who still adore him), and exploitative with the British. He also helped making sure that Stalin, Hitler and Mussolini could devastate Europe… To the great profit of the USA. In 1939, or early 1940, Roosevelt could have declared war to Hitler. That would have probably made him win re-election in November 1940 in a landslide. Roosevelt ran for an unprecedented Third Term. President Washington had refused to do so; Roosevelt was not obligated to run for an unprecedented third term. But he was morally, civilizationally, and strategically obligated to declare war to Nazism. FDR never did: Hitler declared war TO him. So why did not he? Because Roosevelt was a master of the Dark Side: he let Nazism being used as a blunt instruments to destroy the competition in Europe, the other representative democracies (France, UK, Netherlands, Belgium, Norway… and their allies: Czechoslovakia, Poland, etc.) In the USA, this makes him a great man, an immense patriot, the founder of the “American Century”. The judgment of history, is another matter, entirely, let’s hope I contribute to it with my own point of view (“theory“). In any case, President Roosevelt was a master plutocrat, whereas Hitler and Mussolini depended upon plutocrats. The case of Stalin is different: the Dark Side was so strong with him, he was able to surf over lots of plutocrats, as if they were waves, one after the other. Early on plutocrats of the USA (such as the Harriman Brothers) financed him (say to develop Baku oil fields). Engel in his theoretical book had said to do away with marriage, and embrace, free, secxual love. So Stalin’s satanic approach was pragmatic. Allied to German fascists, from 1916, until savagely attacked by his colleague Hitler, Stalin dictated his conditions to a weakened Roosevelt who was all too happy to give him half of Europe to chew on. The USA stays highly pragmatic, never having ratified the Kyoto Protocol. Obama presented a plan to lead from behind technological progress (it affects energy production, about 30% of the CO2 production, but not transportation, another third, or industry). The solution, of course is to take out all subsidies for fossil fuels, starting with the richest countries, and doing so progressively. If Europe and the USA decided this, they could impose it, worldwide, through a carbon tax. A conference in Paris is supposed to make desperate efforts to stop the rush through the two degrees Celsius, but the largest sub-arctic zone, Russia, has already barreled right through. As long as hedge funds feel they can order the world around why should it be any different? What else? Plutocrats say: all the problems arise from French-like socialism, and the European Unification related to it. Thus, they have got to say that so it is, with Puerto Rico’s debt crisis. Puerto Rico’s debt crisis has to be related to the hydra of European unifying socialism, sneakily propelled by the French. How could that not be? Contagion, what plutocrats fear the most, this what Greece and France brought: contagion of rebellion. Destroying direct democracy is why Persia financed the war of Sparta against Athens. Plutocrats have profited of this Persian investment, ever since. The Greeks did not want to pay for their banks’ errors, and the state debt resulting from it. So the Greeks started a mood, a mood where those who owe resist their lords, the lenders. Hence the Puerto Rican legislature sudden decision to resist its masters, the hedge fund managers. So, you see, European leftists are not innocuous, they are already attacking on U.S. soil. And the climate crisis? Purely a French invention. Proof? The climate conference is to be held in Paris in four months. Nowadays, thanks in part to the Multiverse fanatics, no proofs are really necessary, screaming insanities is sufficient, to qualify for respect (as long as you have a big gun, or pocketbook, or aura given by those with guns, or pocketbooks). Everybody knows this, by now: the tedium of the medium is the message, and the massage. Who says this? No less than Paul Krugman (himself with a PhD from MIT), in a New York Times editorial “The MIT Gang“. I will get back to the murder-friendly attitude of Krugman, who not only extols the MIT influence as a good thing, but moreover glosses over the nefarious influence of American trained economists, “The Chicago Boys“, in destroying democracy. And not just democracy. The role of economic ideology from the American plutocratic universities was so nefarious that tens of thousands were outright assassinated, so that Chicago economics could be implemented. Bad economics is bad in all ways, including the most murderous ones. Not only Stalin, Mussolini, Hitler and the Khemr Rouge had murderous economics. Arguably, present day economics may be even more lethal. 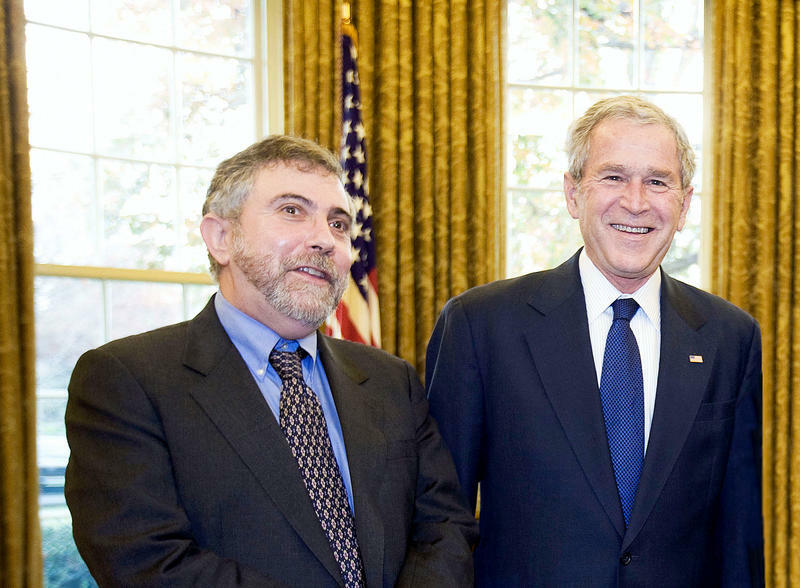 After 2008, the MIT gangsters Krugman effrontly lauds, put trillions of dollars at the disposition of the very banksters who had caused the 2008 crash. Yes, those gentlemen gangsters have names. Those gangsters are so famously, they could be called gangstars. 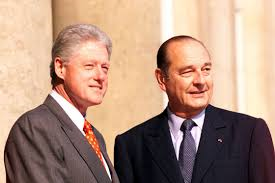 Those stars directed the world’s two most important central banks, or played the top roles, just below the ill-fated Dominique Strauss-Kahn at the IMF, or World Bank, etc. (Krugman sings their praise, and their names, in his “MIT Gang” essay). The crash was actually the transfer of colossal amounts of money from the banks to a subset of plutocrats, ruining the banks. To refloat the banks, public money (see Greece) was called in, both from Treasuries and from Central Banks. The red graph above depicts that transfer as the scarlet exponential of shame. And no one, among those who control the world, condescend to observe it, let alone, explain it. The Chicago, and MIT economic departments rule. Who elected them, as our leaders? Who elected the Central Banks, and authorized them to buy at outrageous prices the property of private banks? That’s so-called “Quantitative Easing“… Thus enabling the bankers, banksters and gangsters who caused the crash of 2008 to keep on deciding who wins, and who loses, socioeconomically? The private banks, extend credit to the richest of the rich.Thus they comfort, and buttress the plutocrats… Who then invite the president to gather money during parties in their mansions. Why have so few people, so much power? Under which political theory? Which theory advocates that only a few people rule? Few: in Greek, Oligos. To rule: Arkhein. Oligos-Arkein: such a theory is called Oligarchy. So the few rule. Question: why is a MIT gang better than a Chicago gang, a Wall Street gang, or a Sicilian gang? Because we owe more respect to a MIT gang than to the Mafia? Why? Did we vote to have so much respect for MIT, we want them, MIT gangsters, to take all the decisions about the society in which we live? Our economic well-beings? Our employment? Our lives? And when did we switch from democracy (Greek: Demos-Kratos, English: People-Power) to Oligarchy? Did we vote to surrender our powers to various gangs? I gather we did not. Thus, when, and how did this silent coup occur? What measures do we need to take, to return to democracy? Note: Some commentators have complained that I am too tough on Krugman: he is a good guy, he is on the side of progress, he is on my side, I am biting a fellow creature. Indeed, Krugman is viewed as the standard bearer of social progress, and not at all the standard bearer of plutocratic universities. So let Krugman talk a little bit more in his own offense in the editorial at hand: : “If you don’t know what I’m talking about, the term “Chicago boys” was originally used to refer to Latin American economists, trained at the University of Chicago, who took radical free-market ideology back to their home countries. The influence of these economists was part of a broader phenomenon: The 1970s and 1980s were an era of ascendancy for laissez-faire economic ideas and the Chicago school, which promoted those ideas. It sounds innocuous, but actually these “boys” set-up dictatorships in their countries, who killed tens of thousands of people in Argentina alone. 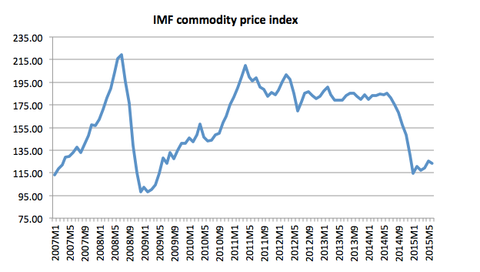 Similar “economic” performance was achieved in Chile, Brazil, and a dozen other Latin American states thus inspired. Nothing that Paul Krugman is allowed to remember while he wants to stay in good standing with plutocracy supreme.